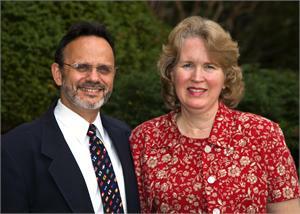 Pray for Norm and Ruth Ann as they assist the more than 200 new workers appointed to serve with Pioneers in 2012. Pray for wisdom for Norm in guiding the strategic plan process and for Ruth Ann’s discernment as she relates to field workers on a variety of concerns. Judy Mbugua rejoices in opening two new Homecare branches in Burundi and Arusha, a training workshop of Kibera pastors and teachers on marriage, a weeklong camp for 200 children, a pre-Christmas event for 350 vulnerable children in Kibera, and enabling a number of women to start their own businesses. Pray these varied efforts and programs, as well as many others, will continue to grow during the coming year. 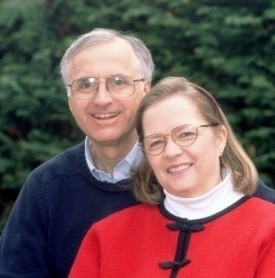 Bill and Bobbie Boggess are grateful they were able to attend their sons’ weddings and also connect with supporting churches and individuals this past year in the US. Pray for conversions, deep spiritual growth, and more Sunday school teachers at their church in France. Bob and Janie Till are encouraged to get reports of new believers and Discovery groups in places such as Bulgaria, Germany, and Greece as a result of the Discipleship Multiplication Training. Pray for more workers and teams, and for those who have committed to go to raise their support and leave for the field soon. Chris and Debbie juggle time between spiritual retreats in Budapest and counseling mission workers in other places. At a recent conference with over 200 mission workers, they covered many areas, from coping with depression on the field to discouragement in countries where the spiritual soil is so hard. Pray for Chris & Debbie to bring much needed support and encouragement to those who serve the Lord in difficult situations. Dave and Joyce recently had an opportunity to use the BGAN satellite technology made possible by a gift from Second. As his helper was in a remote village doing comprehensive checking of Joshua and I Samuel, Dave was able to check the corrections from his home. 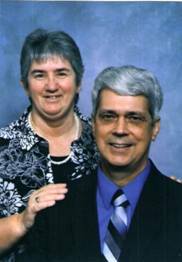 Pray the Brileys time in the US will bring rest and restoration to body and soul. Andy and Brooke’s team are dealing with quite a few challenges; illness and injury, miscarriage, unemployment, discouragement, and fear, both in E. Asia and with families back home. Pray they will live lives of thankfulness, trust and obedience, and that their confidence in the Father’s goodness would not be shaken, but would be strengthened and deepened. Mike is writing a course in Arabic, and editing a course on church planting. He asks prayer for the Holy Spirit to shape these courses which are fundamental to the development of the church. He and Stephanie are working on relationships with students in the seminary and pray the Lord will show them which people to focus on, as the students come from countries all over the Arab speaking world. Guille & Debbie Mackenzie are grateful for the work a team from Second completed at their multi-national church in Buenos Aires. Pray for the new discipleship emphasis, the home Bible study groups and for the church planting team to become stronger in unity and commitment. Also for their daughters’ transition to a new school, for Guille’s doctoral dissertation, and for neighbors who do not know the Lord.